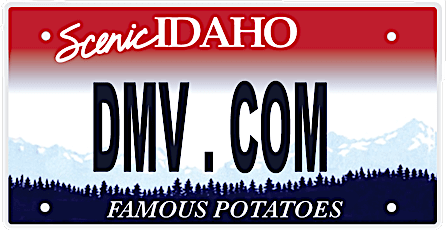 DMV.com was created to help simplify your life by providing you with all the vehicle related information and Idaho DMV services you may need, in one place. Quickly find information and services regarding driving records, vehicle registration, drivers license renewal, license plate renewal, getting a learners permit, and finding a Idaho Department of Motor Vehicles approved traffic school. The ITD requires Idaho residents to get a drivers license before driving. Learn about ID drivers license renewal, replacement and more. Order your Idaho driving records online for maximum convenience. Requesting a DMV driving record from the comfort of home saves time. The ITD requires auto insurance coverage for all cars registered in Idaho. Find low cost car insurance through our online insurance center. Take an Idaho defensive driving course online to remove license points and reduce your insurance. Our traffic school is approved by the ITD. Take an ID DMV practice exam before registering for the license test. The Idaho DMV practice test improves your chances of earning a license. Discover ITD guidelines for vehicle registration. Learn about ID vehicle registration renewal, changing car registration address and more. Idaho drivers ed classes are required for license applicants younger than 17. Learn about ID drivers education and register for drivers ed. An Idaho vehicle bill of sale is a car sales receipt. Learn how to obtain a bill of sale from the ITD when buying or selling a car in Idaho. Idaho traffic tickets require motorists to respond. Find out how to fight speeding tickets and how to pay a ticket online. A DUI conviction in Idaho can result in a license suspension, jail time and fines. Learn what happens if you get a DUI in Idaho. Buying a car in Idaho can be made simple. Learn how to buy a car online in ID and meet ITD requirements for newly purchased vehicles. For more DMV services, visit one of the DMV locations in Idaho. Find Idaho DMV hours of operation, contact information and more. DMV.com let you cut out DMV’s bureaucracy and offers you easy guides for drivers license, vehicle registration, license plate, emissions and other motor vehicle issues online. Welcome to the most easy-to-use guide to the Idaho Division of Motor Vehicles. DMV.com. is a website that offers you the most up-to-date info regarding the Idaho BMV in an easy-to-understand manner. Although there are a whole set of different requirements that you’re supposed to meet as a vehicle owner in Idaho, we are confident that we’ll get you on the right road irrespective of the type of vehicle you posses. Our site contains articles that will help you learn all the main aspects of owning and driving a vehicle, starting with the requirements for getting your ID driver’s license and including everything from vehicle registration to auto insurance. Our website is user-friendly and navigating around it is very easy. Use the “search” feature or the navigation sections and find exactly the facts you’ve searched for in no time. We encourage you to become a fan on our Facebook fan page and tell us your thoughts there. Feel free to comment on anything, from our sites and articles to the DMV services and offices. With your help we’ll get better in offering the most up-to-date information on the Idaho BMV.